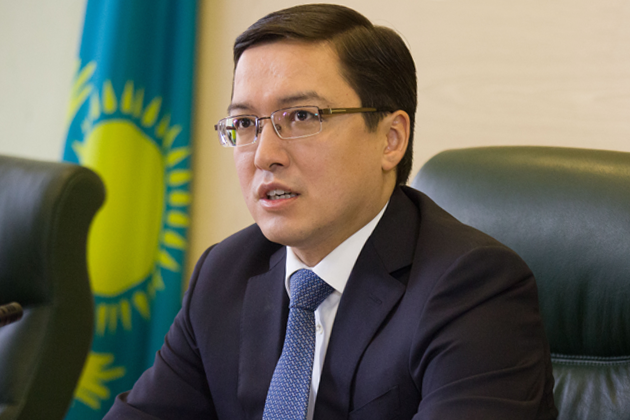 ASTANA – National Bank of Kazakhstan Chairman Daniyar Akishev announced the total amount of foreign investments in the Kazakh economy during the current year so far was $5.7 billion. The statement was made at the Sept. 9 enlarged session of the government with the participation of President Nursultan Nazarbayev. In his report on the GDP growth, Akishev noted a key factor triggering the 4.8-percent increase of investments in fixed assets was the Nurly Zhol state programme initiated by the President. 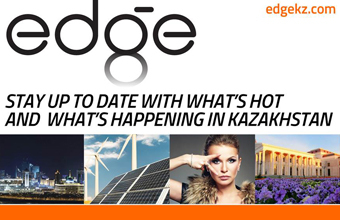 “The total investments in fixed assets amounted to 4.3 trillion tenge (US$12.7 billion), including 1.5 trillion tenge (US$4.4 billion) invested by the public sector,” Akishev said. He also noted a significant increase of investments in non-oil sectors, including the manufacturing industry, which increased by 19.5 percent and totaled 429.3 billion tenge (US$1.3 billion). “The growth in agriculture increased by 39.4 percent and totaled 113.5 billion tenge (US$334.6 million); in the financial sector, the investment share increased by 22.2 percent and totaled 34 billion tenge (US$100.2 million) and in trade the increase composed 21.3 percent and amounted to 72.5 billion tenge (US$213.7 million),” he said. The flow of foreign direct investments totaled $5.7 billion, which is almost five times higher than in the last year, when the investment composed $1.2 billion. The inflow of foreign investments was mainly concentrated in following sectors: chemicals ($13.0 million or 0.5 percent of the total investment in the first quarter of the current year) and pharmaceuticals ($11.5 million or 0.4 percent of the total investment), engineering ($11.6 million or 0.4 percent), construction ($180.0 million or 6.8 percent), transportation ($165.0 million or 6.2 percent), oil ($518.6 million or 19.4 percent) and metal ores ($159 million or 5.9 percent). Due to the influx of direct investments the international reserves of the country rose by 4.2 percent and totaled $95.2 billion. The National Fund assets reached US$64.7 billion and the increase composed 1.9 percent as per Aug. 1, 2016, said Akishev. Another positive factor was the restoration of economic crediting. “If between January and April we could notice a decline of loans, since May there has been a growth tendency,” he said. According to the report the general amount of loans increased by 0.5 percent and composed 12.7 trillion tenge ($37.4 billion), while the amount of newly-issued loans increased by 7.8 percent and reached 5.4 trillion tenge ($15.9 billion) between January and July. At the same time, the foreign trade turnover decreased by 30.4 percent during the first half of 2016 and totaled US$28.0 billion, including the exports of $17.1 billion. “There is also a slowdown in the inflation process. The annual inflation reached its peak of 17.7 percent in July 2016, after which it gradually began to decline. The monthly inflation slowed to 0.2 percent in August 2016, while at the beginning of the year it composed 5.4 percent,” said Akishev.